On the ‘21st’ of October 2016, Canadian singer-songwriter, novelist and poet Leonard Cohen released what was to be his swan-song You Want It Darker to widespread critical acclaim. Sadly, just seventeen days later Leonard Cohen passed away on the ‘7th’ of November 2016, aged eighty-two. That day, music lost a true great, whose recording career had spanned nearly fifty years. During that time, Leonard Cohen released fourteen studio albums and eight live albums. They’re a remainder of one of music’s most enduring and cerebral singer-songwriters. Leonard Cohen constantly asked the big questions and tackled subjects other singer-songwriters shied away from. That was the case right up until his swan-song You Want It Darker. He was rueful, reflective, offered advice and gave thanks on If I Didn’t Have Your Love, which was one of nine songs on You Want It Darker. It was the swan-song of one of the greatest lyricists in the history of modern music, Leonard Cohen whose songs are celebrated on Hallelujah-The Songs Of Leonard Cohen, a new compilation that has just been released by Ace Records. Hallelujah-The Songs Of Leonard Cohen is the latest instalment in Ace Records long-running and critically acclaimed Songwriters series. There’s a total of eighteen tracks from such luminaries as Jeff Buckley, KD Lang, Rufus Wainright, Marianne Faithfull, Madeleine Peyroux, Dion, Judy Collins, Ron Sexsmith, Nina Simone, Lee Hazlewood, David Blue and Joe Cocker. They’re just a few the artists that feature on Hallelujah-The Songs Of Leonard Cohen, which features two tracks that the great man never recorded. Each of the songs on Hallelujah-The Songs Of Leonard Cohen is a reminder of one of the greatest lyricists of his generation. Jeff Buckley’s breathtakingly beautiful and cover of Hallelujah from his debut album Grace opens Hallelujah-The Songs Of Leonard Cohen, and sets the bar high for what follows. This includes KD Lang’s cover of Bird On A Wire and Rufus Wainright’s live version of Chelsea Hotel No.2. Both artists breathe new life and meaning into two familiar songs. So does Marianne Faithfull on Tower Of Song and Madeleine Peyroux’s masterful interpretation of Dance Me To The End Of Love, which is a welcome addition as she pays homage to her musical hero. The first artist to cover a Leonard Cohen song was Judy Collins in 1967, who was well on her way to being crowned Queen of folk. Her contribution is heartfelt, wistful and quite beautiful cover of Hey, That’s No Way To Say Goodbye. Another highlight is Heart With No Companion by Ron Sexsmith, while Nina Simone personalises Suzanne and Lee Hazlewood takes Come Spend The Morning in a new direction. It’s a similar case with David Blue’s cover of Lover, Lover, Lover and Joe Cocker’s stunning version of First We Take Manhattan. Closing Hallelujah-The Songs Of Leonard Cohen is a reinvention ofAvalanche by Leonard Cohen aficionado Nick Cave Featuring The Bad Seeds who closes this lovingly curated and quality compilation on a resounding high as he pays homage to one of his heroes. Hallelujah-The Songs Of Leonard Cohen is a reminder of one of the greatest lyricists of his generation, who passed away on the ‘7th’ of November 2016, aged eighty-two. That day, music lost a true great, Leonard Cohen, whose recording career had spanned nearly fifty years. During that period, countless artists and bands covered Leonard Cohen’s songs. 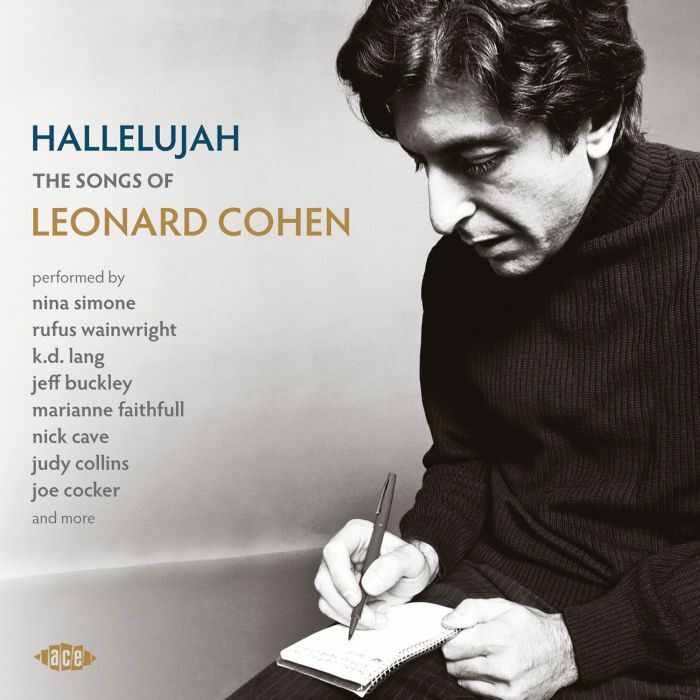 This included the eighteen eclectic recordings on Hallelujah-The Songs Of Leonard Cohen which features an array of talented artists who interpret the songs of one of the greatest lyricists of his generation and Canada’s poet laureate. ← THE THREE YEAR STORY OF SWEENEY’S MEN.